Yakima Valley fruitgrowers, agriculture startup Phytelligence and Washington State University are all suing each other over WSU's Cosmic Crisp and WA2 apple. 11.6 million trees growing Cosmic Crisp apples have been planted in the last three years. Photo by Navid Baraty. 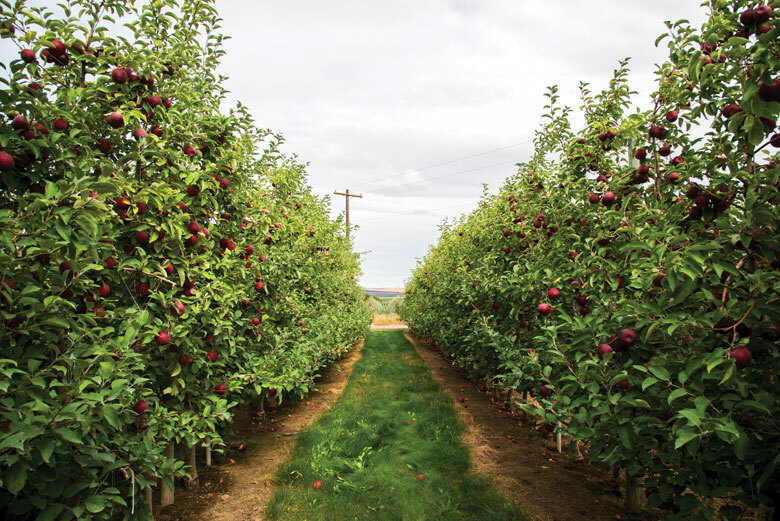 Washington State University’s efforts to launch two new apple varieties, WA2 and WA38, have hit a hiccup. Or two. Both apples have landed in court over challenges to their commercialization contracts. In one lawsuit, six Yakima fruit growers allege that WSU’s Office of Commercialization did not follow the prescribed competitive bidding process when it hired Proprietary Variety Management (PVM) of Yakima to commercialize an apple known as WA2. A second lawsuit and subsequent countersuits involve the WA38 variety, known as Cosmic Crisp, and a WSU spinout company, Phytelligence, which grows trees and plants faster than conventional means using special micropropagation techniques. Phytelligence sued WSU for failing to grant Phytelligence a commercial license to sell Cosmic Crisp trees. The company received an option in 2012 with WSU’s first commercialization entity, the now-defunct Washington Research Foundation (WSURF). WSU countersued, claiming Phytelligence never pursued an option and that Phytelligence’s alleged sale of 135,000 trees to the Evans Fruit Company violated WSU patents. Phytelligence CEO Ken Hunt says Phytelligence and Evans Fruit agreed to an initial contract, which was canceled when Phytelligence failed to obtain a commercial license for Cosmic Crisp. Jeannette Evans, owner of Evans Fruit, confirmed that her company did not receive any Cosmic Crisp trees. In the WA2 suit, growers say that, rather than asking interested companies to respond to a request for proposal (RFP), as required by state law, WSU signed an exclusive management contract with PVM. The plaintiffs, who market WA2 under the name Crimson Delight, seek to void the 2015 management contract with PVM, which markets the WA2 fruit as Sunrise Magic, and recoup damages to be determined at trial. WSU officials say no RFP was needed since the WA2 deal is a research license agreement, not a commercialization contract. What’s next? Sales of Sunrise Magic will likely be small until WSU straightens out the twice-named apple. Growers will only plant varieties with a solid marketing plan behind them. The Cosmic Crisp lawsuits won’t delay release of the apple unless the nursery association contracted to provide them doesn’t deliver all the trees ordered. Phytelligence could miss out on some revenue potential, but the Seattle firm is growing rapidly, supplying other apple varieties and many other kinds of trees and plants to customers here and abroad. Read our recent feature stories on the Cosmic Crisp apple and Phytelligence.